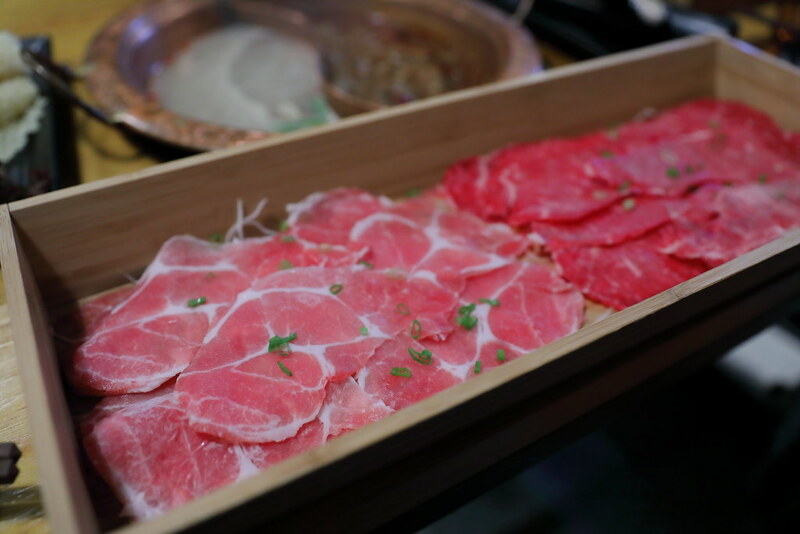 A new hotpot restaurant, Long Qing Hotpot has opened at Hong Kong Street. It offers both set and a la carte menus for their hotepot with four different soup bases. 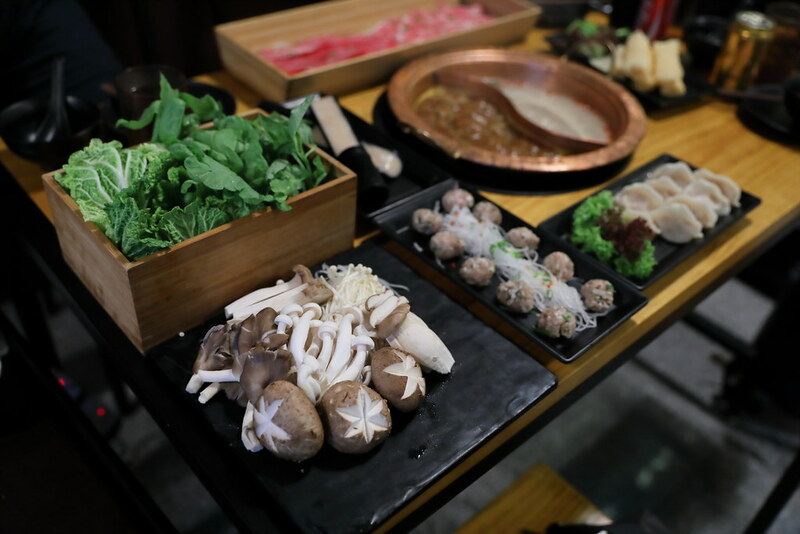 The hotpot restaurant is opened by James Chiew, a local Singaporean together with his Chong Qing wife. We have the dual pot and tried the Signature Clear Broth and Spicy Ma La soup base. 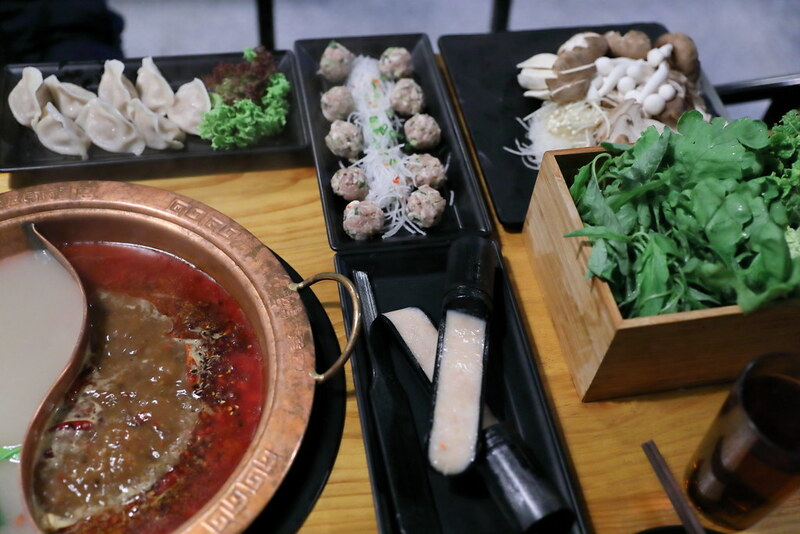 The signature clear broth is made using both pork and chicken bones, together with some herbs. It was rather bland initially but as the raw ingredients were cooked in the soup, it gets richer and more flavourmore. 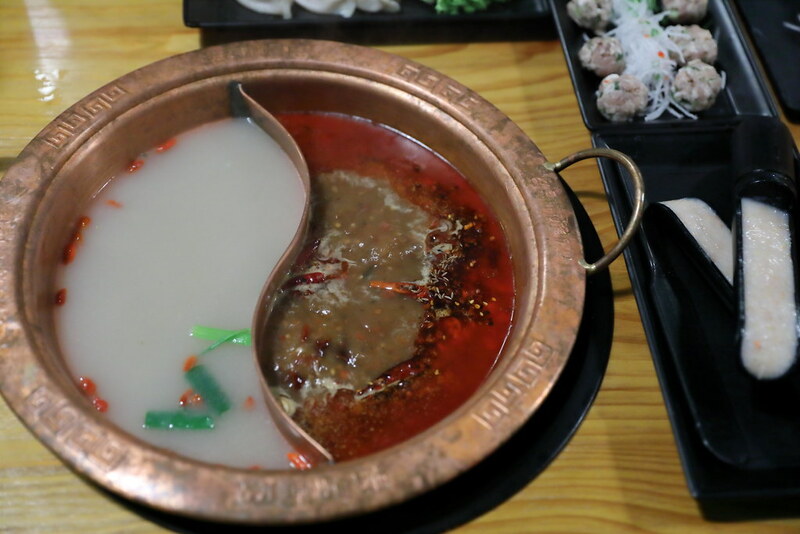 For those that like spicy stuff, Long Qing has created a Mala soup base that is close to Chong Qing, hometown of the lady boss. 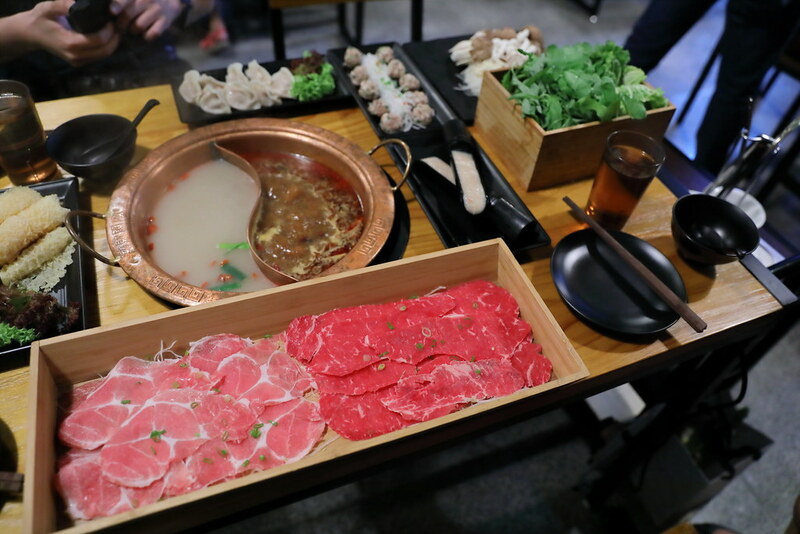 However the couple has given it a tweak to make it drinkable, to cater for how Singaporean likes to enjoy their hotpot. We decided to go for the a la carte menu instead of the set menu, worry that the set menu may be too much for 3 of us. For the meat, we ordered the Pork Collar ($12) and Angus Beef Slice ($18). I didn't like the fact that my meat is frozen but I can understand the need to watch their operating cost. Fish Paste with Crisp Pig Skin ($10), Vegetable Platter ($12) and Crispy Beancurd Skin ($6.80). 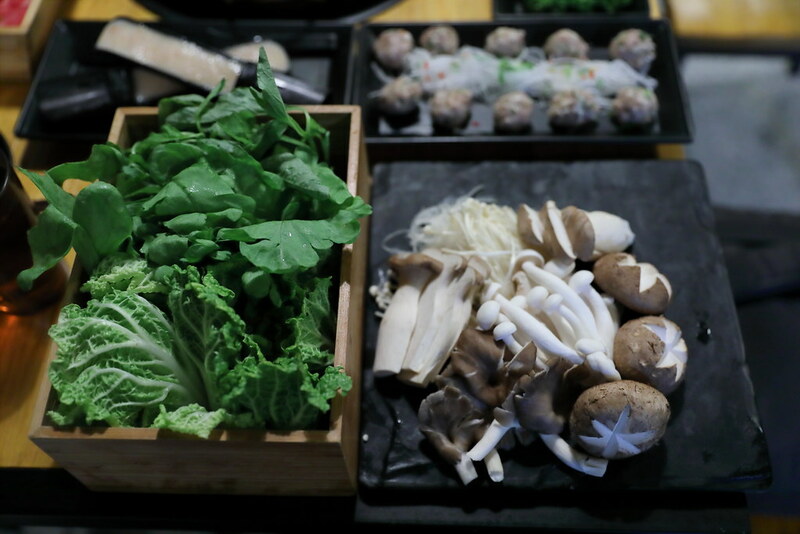 A good hotpot place comes down to the soup bases. I felt that the soup bsaes still lose out to a lot of places. It is decent but can be better. The ingredients are also quite limited.